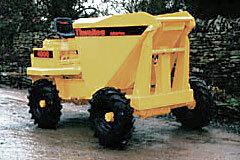 Two THWAITES dumpers either 4000 2 tonne or 6000 2.5 tonne High Tip dumpers with PETTER PH2 engine (manual or electric start) in absolutely any condition whatsoever. Cash awaiting and we will collect from anywhere in the UK. Please ring David Cornwallis on 01568 760243 or 07889 047425 anytime. Thank you.